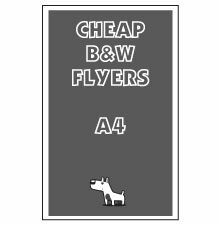 Add black print to the back of your flyers for a small additional cost. If you are looking for maximum quantity at a minimum price, this is your answer. 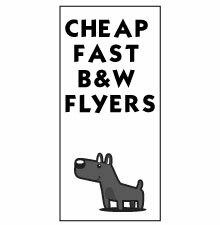 These black and white flyers are a great budget solution. Single sided and double sided printing available. Available in quantities starting at just 200, these are a fast and cheap option to get your message out there. Black print, plain white copy paper. The absolute cheapest and fastest solution for you.